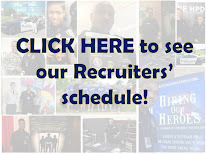 Houston Police Department: Retired military? Do you think you're too old to start over? Meet Roy Underwood. Retired military? Do you think you're too old to start over? Meet Roy Underwood. Academy Class 198 graduated last night and I asked which cadet ended up number one in academics during the academy. It turns out it was one of the class leaders. I was surprised to find out that not only was he one of the oldest cadets in the class but was also a retired Navy man. Cadet, now Officer, Roy Underwood joined the United States Navy in 1986. He was a Hospital Corpsman and served in Desert Storm. 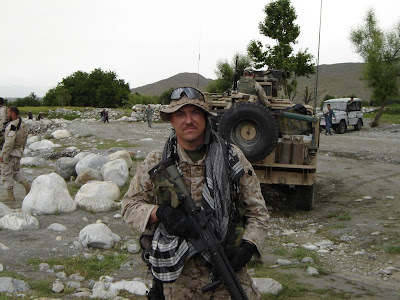 In 1995 he was sent to Advanced Hospital Corpsman school and spent the remainder of his career as an Independent Duty Corpsman. 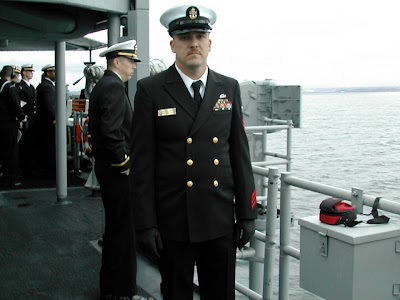 He retired in October 2006 as a Chief Petty Officer (E-7) after a 20 year career. He had tours of duty in Afghanistan, the waters off Iraq and Iran as well as numerous deployments in the Pacific Ocean. He was an instructor at the Romanian Military NCO Academy. His final tour of duty was as the Leading Chief Petty Officer of the Naval Health Care New England Education and Training Department stationed in New London, Connecticut. 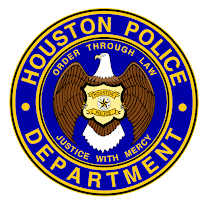 He applied with HPD in January 2008 and began the academy in March of 2008. He graduated from the academy last night on October 8, 2008 and will be assigned to North Patrol Command for field training. Impressive, it was an honor to meet you yesterday and look forward to seeing you around the water cooler (police car). Welcome to the family of HPD. As long as you have not reached your 45th birthday by the time you graduate from the academy, you are eligible to apply. Chief Petty Officer/Police Cadet/Police Officer Roy Underwood took this step and not only succeeded, he excelled. Serve your Country, Protect your City. Wow, great story. 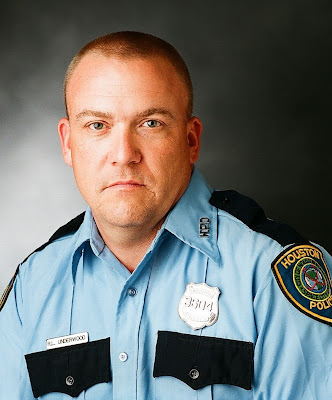 Thank you Officer Underwood for your service to our country and now the city. 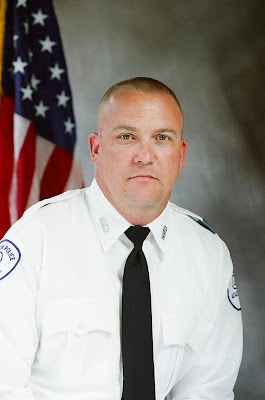 Thank you for the post on the blog Officer McCoy. I can tell that HPD really appreciates America's heroes who protect our country from terroristic threats of all kind. We are proud of you soldier. You will make a great police officer. Congrats Chief Petty Officer! You will make a great police officer. Way to make us Navy guys and gals proud! You have been nominated for blog of the year in my book.